About Flying Foxes: Hendra Virus and Flying Foxes. 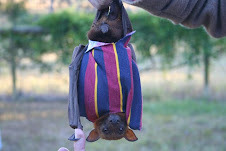 Hendra Virus and Flying Foxes. An outbreak of Hendra virus at a horse stud in Central Queensland has opened up an opportunity for more strident calls for the killing of flying foxes in the Ross Creek and Cawarral areas. The flying fox colony at Yeppoon in Ross Creek has had much controversy over the years. In the 1930's, the local Council organised a yearly "posse" of residents armed with shotguns to get rid of them, and some residents still stay the "posse" should come back.